Like everyone we either love or hate ironing. I find it sometimes relaxing, but I have a problem with my arm so sometimes doing the ironing causes me a lot of pain, so anything that makes it easier is good thing. I had read about this tip online somewhere a while ago and wasn’t that sure about it so thought would give it a go. 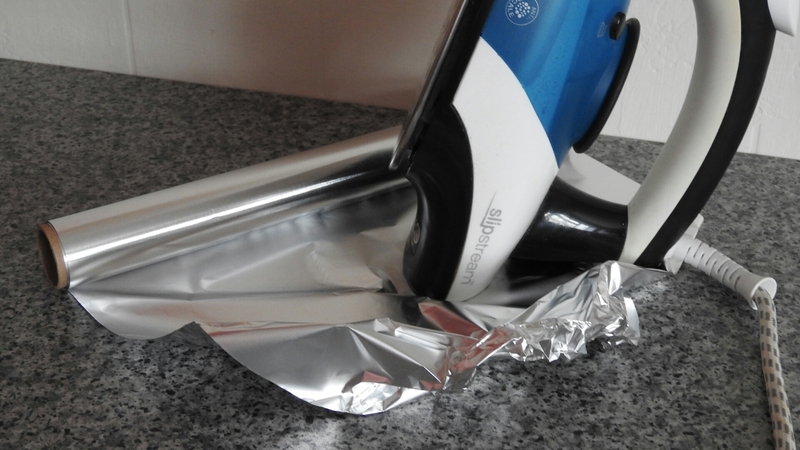 What you do is put some tin foil under the cover of your ironing board. We have the normal soft layer of material then another layer so I placed a sheet of tin foil between these two layers. The idea is that the tin foil bounces back the heat so that the other side of the material you are ironing gets more heat and in turn makes it easier to iron. After putting the tin foil under the cover and doing our normal weeks ironing I can say did make a difference, ie when ironing a t-shirt after ironing the one side the other side isn’t as creased. Though be aware the cover of your iron board does get a bit hotter than normal and as well when ironing you do get the crinkling sound of the tin foil, but worth bit to make this job a bit easier.